Focus on two things: traffic and conversion rates. Every action you take in your marketing should be designed to move one of these numbers. Your traffic times your conversion rate equals success. Next, start measuring those carefully. Finally, judge every marketing effort and change to your website against it’s effectiveness at moving those needles. This approach will lead you to better decisions and save you hundreds of hours of work. Anything that doesn’t work? Change it or dump it! What was the inspiration for Content Chemistry? Like most content marketers, I was already producing a lot of content. 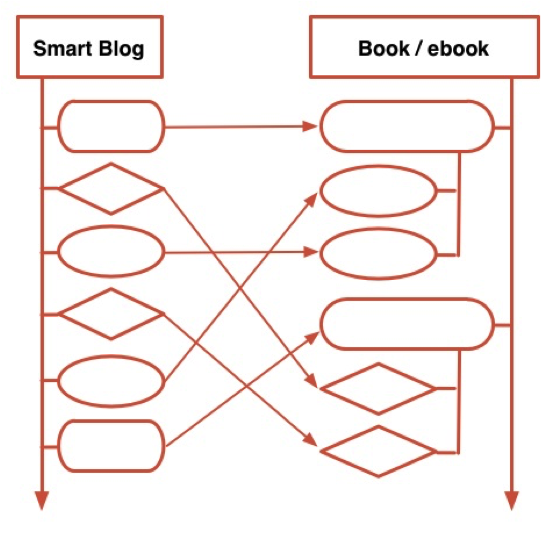 Rather than just publish a string of loosely related blog posts, I decided to think ahead about the structure. I wrote out a table of contents and kept an eye on it as I selected new blog topics. Eventually, the book started to take shape. When I sat down to put the pieces together, I found that by using the repurposed posts, I was halfway there. Then it was just a matter of filling in the blanks and putting a bow on it. The posts on any blog can fit into the structure of a book. 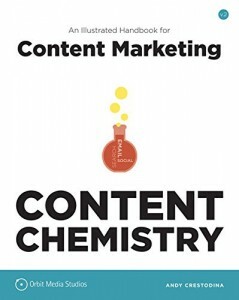 Readers of Content Chemistry will learn that content marketing is a science. It involves many small specific actions, each of which leads to a specific outcome. As a handbook, it offers the step-by-step instructions for content marketing. Everything from what to blog about to how to promote your content. It’s not an overview of the concepts. It’s loaded with specific tips for better, more measurable marketing outcomes. How do you describe yourself professionally? What is your elevator pitch? I’m the co-founder of Orbit Media, a 38-person web design company in Chicago. But I’m also a teacher, writer and speaker on marketing topics. I write for a lot of the big marketing blogs and speak at some of the national conferences, where I teach the advanced classes. I’m a combination of a content strategist, search optimizer and Analytics expert, but I also teach social media and email marketing. 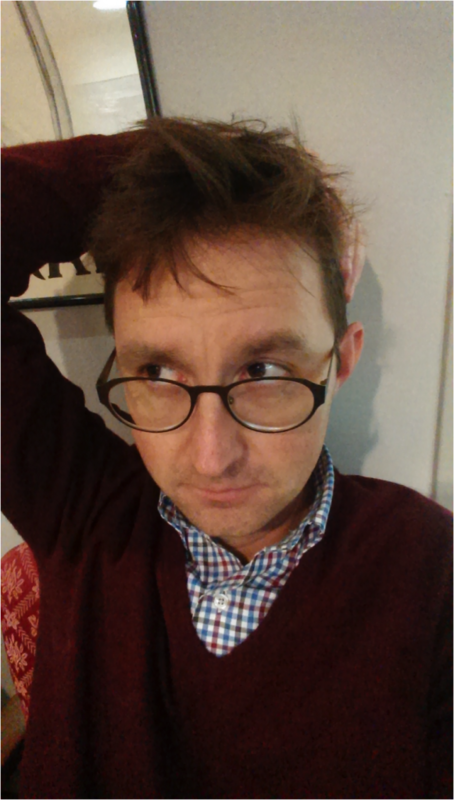 I’ve been in this industry for 15 years so I’m kind of a digital marketing generalist. What are 1-3 books that inspired your work/career? How did they influence you? First, Content Rules really got me started down the content road. Getting Things Done is a classic that I read every few years. It was hard for me to leave China. I majored in Mandarin and lived in China after graduating. This was back in 1998. I knew that the economy there was about to explode and that there was a shortage of Americans fluent in Mandarin. I was torn, but Chicago won out. I’m glad to be here in the US and I love this town. 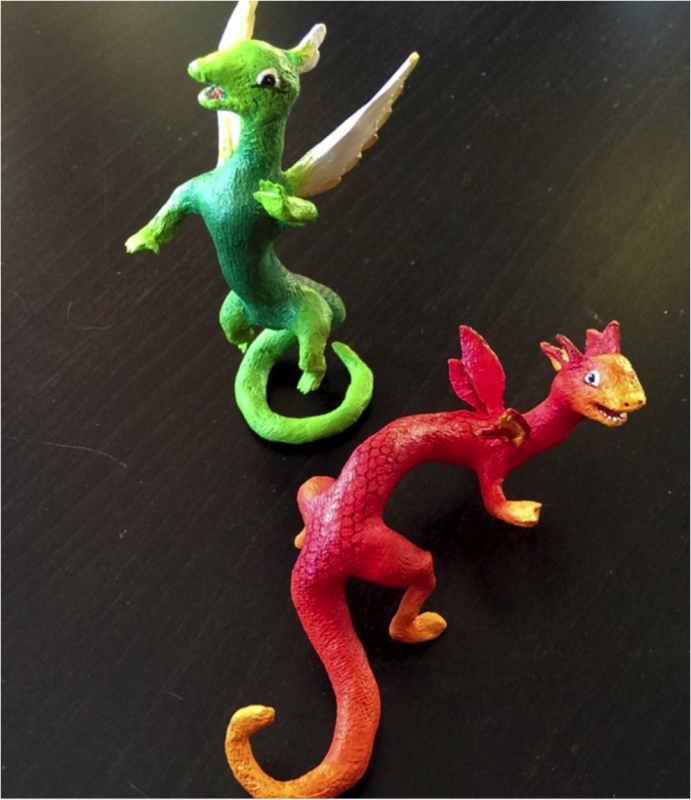 I make little dragons out of paper mache. This post is probably one of the highest quality pieces of content I’ve published: Best Practices for Lead Generation Websites. It breaks down each step in the lead generation funnel, and shows which visual elements need to go on which pages to keep the visitors moving. If you follow these steps, you’re very likely to increase both traffic and conversions! One quick thought about content marketing that isn’t often discussed: it’s really all about people. Heidi, I’m grateful to have met you and become friends. You’re an example of the best part of this industry. Real connection with professionals who become collaborators who become friends. If you’re not making friends, you’re doing it wrong. Thanks for including me in this, Heidi!